Sony Ericsson released Xperia Pro and Xperia Neo at Opium Mar in Barcelona. They are the latest addition to the sophisticated Xperia family as Sony Ericsson Xperia Arc has already launched earlier this year. The Xperia family is well equipped with high end technology and the latest Android Operating System- the Ginger Bread. 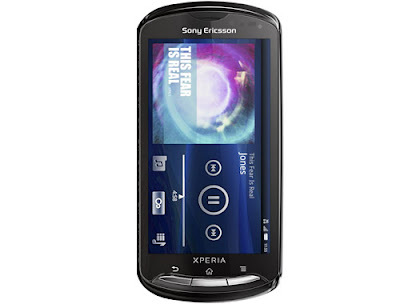 With its high speed functionalities and spectacular design, Sony Ericsson Xperia Pro is perfect smart phone by all means. The price of the new phone is not yet revealed. The Sony Ericsson Xperia Pro has a stylish look with the scratch resistant surface with a QWERTY key board. The 3.7 inch capacitive touch screen has a display resolution of 854 x 480 pixels. It can support 16M colors and has a Bravia engine. The phone is powered by an Android Ginger Bread 2.3 operating system and a 1GHz Snapdragon processor. The eight mega pixel camera has LED flash and it can record HD videos. There is a 8 mega pixel front camera which is used for video calling in 3G networks. The XMOR R technology ensures great stills and videos in even lower light. The phone operates in both 2G and 3G networks. The 2G operating frequencies are GSM 850/900/1800/1900 MHz and that of 3G is HSDPA 900/2100 MHz. 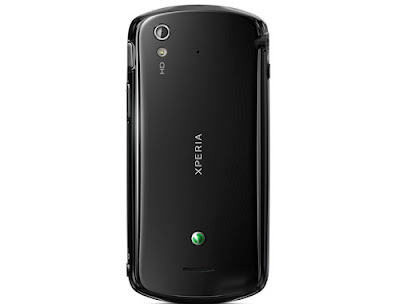 The messaging and sending features are highly sophisticated in Sony Ericsson Xperia Pro. You don’t even have to open specific applications for each type of message. When you open the key board, it automatically activates the predictive text input. The multimedia messages are extremely fast and they are sent at lighting speed. The ergonomically designed slide out key board makes it much easier for the user to type the messages. It has more than 10, 0000 apps in the market now. There is Office suit Pro which helps the user to create, edit and use the office documents. The internet facilities are excellent with email, instant messaging, and MMS, push mail etc. There is a built in HDMI connector which can be used to share videos and pictures on HD TV. The phone also has memory card support and a good built in memory. The music player supports files in a many different formats. The access to web is really fast with Adobe Flash Player. The phone is available in black red and silver colors. when is this phone launching in Mumbai??????? when is ths phone launching in Mumbai? when it launching in india ...?????? how it costs??????? when it release in chennai???? how it costs??? ?